There has rarely been so much divergence between the view of experts and the policy of European governments, as about their foreign terrorist fighters captured abroad. While most experts state it would best to take them back to prosecute them at home — and almost unanimously declare that the children of these people absolutely are to be repatriated — very few authorities are willing to that. They seem to bow to pressure of the public opinion, resulting in an ostrich-like policy. Focussing on the Belgian case, this article aims to explore how this rather populist and likely dangerous stance is rooted in a failure of those authorities themselves. The Belgian government recently gave the impression that it would start to seriously address the issue of its foreign fighters captured in Syria. During a Friday evening debate on 15 February, the chairman of the largest political party — Bart De Wever of the right-wing N-VA — all of a sudden made some room for the idea of taking them back “in order to avoid future terrorist attacks”. Justice minister Koen Geens, who had only days before declared that there is no support base for that, took the chance to promise, on the Sunday morning, to search for common ground. By that same evening, however, N-VA had backtracked already, and on Monday every semblance of a breakthrough disappeared in a cacaphony of alternative propositions — from stripping captured foreign fighters of their Belgian citizenship, to sending them to Iraq, to establishing an international war crimes tribunal. According to the latest official figures, 57 people from Belgium are detained by the Kurdish-dominated Syrian Democratic Forces (SDF). Most of them are minors (31) and women (17). There are only eight adult men, and one male minor older then twelve — the Belgian threshold for being categorized as a foreign terrorist fighter. It has to be stressed that these numbers will certainly have risen by now, since the final push against Islamic State (ISIS) in Syria has driven thousands of adherents out of their last sanctuary near the town of al-Baghouz. In addition to that, two Belgian foreign fighters are known to be imprisoned in Iraq. One of them landed there after he was transferred from the SDF to Iraqi authorities in circumstances still unclear. Belgian authorities have formally identified 422 citizens or residents as foreign fighters in the Syrian-Iraqi conflict zone, and of those who didn’t return or weren’t captured, 151 are thought to be still alive. The debate on what to do with foreign fighters captured in the war zone is haunting every European country with significant numbers involved, especially since the United States announced its plan to withdraw from Syria. In Iraq, suspects are prosecuted regardless of their origins — and Western countries do not tend to interfere, pleased as they are that someone else is handling the matter. Belgian authorities officially requested that death sentence against one of its citizens be commuted to prison time, but this was a pro-forma action. The main issue clearly lies in the part of Syria controlled by the SDF. They don’t want to prosecute non-Syrians, and the fear exists that they can’t or won’t continue to detain the foreign suspects after their American patrons have left. While there are notable exceptions, such as the Norwegian Defence Research Establishment’s jihad expert Thomas Hegghammer, most scholars recommend taking these fighters back and prosecuting them at home — for reasons of morality and responsibility, but also as the best solution for the West’s security. In Belgium, that assessment is shared by at least one of the highest ranking security officials, as this person privately communicated to the author. But none of this translates into a corresponding policy. Even in the case of children, Belgian authorities do not live up to the principles they publicly declare. In December 2017, the government decided that all children younger than 10 have an unconditional right to return. Since it was explicitly stated that their parents would not be accepted, and it is clearly impossible for these children to make the journey on their own, that government’s decision logically implies some form of active assistance — as a respected Belgian specialist in international law, professor Jan Wouters, pointed out. But in nearly every particular case that has arisen since that moment, the efforts of the Belgian government were directed at keeping children out as well. In a court case about two girls, aged 2 and 4, who were stuck in Turkey where their mother has been convicted and imprisoned after sneaking out of Syria, the Belgian state was merely asked to provide the minors with the necessary documents to let them travel home. Being born in Syria, the children did not have any official identification, and could not prove their ancestry because Turkey didn’t permit a DNA test on the mother. Even after family members took the initiative to have the children’s DNA compared with a sample of their grandmother — and an acknowledged laboratory in Belgium found a match of 99.9% — the Belgian state continued to dispute their ancestry. Or, to be precise: it disputed ancestry when it was asked to accept the children’s right to Belgian citizenship, but at the same time recognized it by arguing that the children were first of all Algerian, because the mother holds a dual Belgian-Algerian citizenship and was born in Algeria. The Belgian state was finally obliged to provide the documents, and both children are with their family in Belgium now. But similar efforts to hand off responsibility are rarely hindered by judges. When the notorious terrorist widows Bouchra Abouallal and Tatiana Wielandt tried to compel the Belgian state into repatriating their six children from a Syrian detainment camp, a Brussels court decided that it wasn’t sufficiently proven that the children were in harm’s way. “That allegation is solely based on media reports, which are unreliable”, the court’s written decision bluntly states. It may be true that the most harrowing stories about children dying in the camps had not surfaced at that time. But when a court is tasked with an assessment of children’s well-being — where it is widely accepted that the principle of prudence prevails — it should either go investigate the situation itself, or accept the chance that unproven media reports might be correct. In December of last year, a judge ordered Belgium to actively enable the repatriation, but in February that decision was overturned by the Brussels court of appeal. The lack of political will to take foreign fighters back, seems to be a genuflection to popular sentiment in Belgium. According to a recent poll, more than 40% of the Belgians don’t even want to see the children come home. On social media, all the brakes are taken off when the topic is discussed. In a country far from known for its plain speaking, it means something when people write: “Let them die by torture, and let it last a while” or “laywers who defend these people should be executed themselves”. With a general election only months away, the chance is almost non-existent that the view of experts will prevail over the populist approach anytime soon. In defense of this reluctant public opinion, it has to be said that Belgium has failed so far in creating the right atmosphere for a pragmatic policy. If a country wanted to convince its residents that taking back potentially dangerous people is the best option in terms of security, it has to make sure that people can trust the state to contain the risks. Belgium has been plagued already with a self-declared beheader who could walk out of the court room after being sentenced to five years in jail, just because the judge neglected to order his immediate apprehension as the prosecutor had asked. And one of the country’s most prolific jihadist recruiters, Jean-Louis Denis, regained his unconditional freedom in December after his initial sentence of ten years in jail was halved on appeal. He was involved in the transfer of at least 50 individuals to the Syrian war zone, and after his release he declared that deradicalization efforts in prison are a form of “psychological torture that only strengthens the belief”. So, it it is hardly surprising that the Belgian population isn’t completely at ease with the prospect of its most war-hardened foreign fighters coming home. To make their controlled return politically feasible, much more reassurance is needed. The Belgian judiciary has gone to great lenghts already, especially compared to many other countries, to prosecute foreign fighters while they are still on the battlefield. That strategy was meant to make sure that these fighters can be easily detained if and when they return. But because most of these trials had to rely on limited evidence and only aimed at passe-partout convictions such as participation in a terrorist group, it now seems that this strategy has backfired. Figures recently disclosed by Justice minister Koen Geens reveal that of 26 foreign fighters currently detained in Syria, eight have been tried by Belgian courts in absentia already. One of them was convicted and sentenced to fifteen years in jail for taking a leading role in a terrorist organization, while the others came away with five-year sentences as participants. All of these are the lowest possible sentences. In France, the average prison time for the twenty foreign fighters who were tried in absentia during the second half of 2018 was eighteen years, and in the United States the sentence for a failed attempt to leave the country and join a terrorist group can be up to thirty years in prison. It was stressed by Justice minister Geens that convicted foreign fighters can be charged with additional crimes upon return, if and when new facts come to light. “Then it’s even possible that they will be sentenced to life,” he said. But when a foreign fighter from Antwerp, convicted in 2015 and sentenced to five years in jail for participating in a terrorist group, was tried last year for plotting an attack on Belgian soil, he came away again with only a five-year sentence. Both times he was convicted in absentia and, since he faked his death last summer, fear exists that he still might be involved in a terrorist plot. Imprisonment is obviously no panacea, since radicalism can flourish behind bars more than in the outside world. And it is telling that the senior security official who was cited above, told the author that “we will have to start finding ways to keep them out of jail” when talking about returnees. But until better solutions are found — simple disengagement from the violent jihad, a step less than deradicalization, is immensely difficult to secure — imprisonment seems to be the only way to protect society. While it is evident that every individual case is different, which makes routinely sentencing the absent foreign fighters to five years imprisonment all the more questionable, there are reasons to believe that a longer prison time can actually contribute to disengagement. According to professor Andrew Silke, head of Criminology at the University of East London, incentives like an early release are likely more successful than the current emphasis on dialogue about ideology — and it is clear that such an incentive can only work when the alternative is severe enough. There are European countries far worse equipped, such as Sweden, which only very recently moved to make participation in a terrorist organization punishable by law. But even in possession of all the necessary legal instruments and with highly competent investigators at hand, Belgium still has lots of work to do — especially in convincing its judges that the terrorist threat cannot be addressed in the same way as ordinary crime. 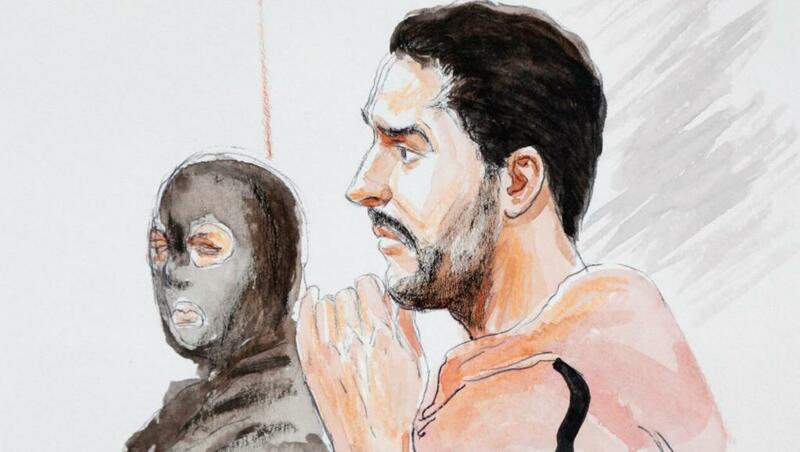 The recent trial related to the attack on the Jewish Museum in Brussels might be thought of as a first sign of progress on this issue, with the main defendant, Mehdi Nemmouche, sentenced to life and his accomplice, Nacer Bendrer, given a fifteen-year prison term. But in fact the trial laid bare one of the weakest spots in Belgium’s struggle against jihadism. The prosecution was conducted as an ordinary murder case, with very limited attention given to the fact that it was part of a much larger Islamic State plan that culminated in the November 2015 Paris and March 2016 Brussels attacks. While few people will regret the sentences handed down, the courts only punished the completed acts. That is the first aim of justice, and prosecuting suspected intentions has to be done with the utmost care. But confronted with the threat of terrorism, the judiciary should aknowledge that it shares the task of protecting society — and there’s still a gap to fill when it requires that four people actually be killed before a terrorist is isolated from the innocents whose lives his organization explicitly wants to take. Maertens, Y., 15 February 2019. Huyghebaert, P., 17 February 2019. Het Laatste Nieuws, 21 February 2019. Van Wilgenburg, W., 13 January 2019. Het Laatste Nieuws, 22 May 2018. Hegghammer, T., 15 February 2019. See for instance Mehra, T. & Paulussen, C., 6 March 2019; and Renard, T. & Malet, D., 7 March 2019. Also revelant are the opinions of Syrians who suffered under the rule of these foreign fighters (Alhamza, A., 14 March 2019) and former foreign terrorist fighters themselves (Viñas, B.N., 4 March 2019). De Bisschop, N., 22 December 2017. De Roy, L., 28 December 2017. De Standaard, 18 December 2018. Van Vlierden, G., 9 May 2016. Van Ostaeyen, P., June 2016. Participants of a terrorist group can be punished with 5 to 10 years in jail, and leaders with 15 to 20 years. See for example. Centre d’Analyse du Terrorisme, 29 January 2019. Belgische Kamer van Volksvertegenwoordigers, Integraal Verslag Commissie voor de Justitie, 20 February 2019, pp. 1-2. Het Laatste Nieuws, 12 March 2019. The Local, 28 February 2019. British Broadcasting Corporation, 12 March 2019.